Stay up-to-date with Chapter activities: Become a friend on Facebook!! Also, become a friend to the International Facebook Page of Phi Theta Kappa. This is our parent organization. Members should visit this site weekly to look for new Phi Theta Kappa scholarships and keep up with other news and updates. It is highly recommended that you bookmark this site so you don't miss out on any opportunities to get scholarships and other benefits. Check this site often for Phi Theta Kappa scholarships. This site gives information about scholarships and financial aid available to all Sierra College students. Phi Theta Kappa members are highly encouraged to apply! The Nevada California Region of Phi Theta Kappa is the LARGEST REGION IN THE PHI THETA KAPPA FAMILY. Our Region consists of 98 chapters within the two states. Use this site for information about the outstanding chapters, advisors, and Regional projects in the Nevada/California Region. As populations at community colleges grow, easy and affordable access to transfer resources becomes critical. 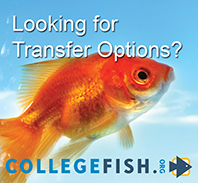 At CollegeFish.org, we bring together community college students, admission counselors, advisors, administrators and scholarship partners – all on one site. Phi Theta Kappa members: use your Phi Theta Kappa username and password to login and create your profile. Five Star Competitive Edge is a self-paced, professional development plan available exclusively to Phi Theta Kappa members. Use your Phi Theta Kappa username and password to access it online at my.ptk.org. The plan consists of activities and instructional videos designed to strengthen your marketable skills – communication, teamwork, critical thinking, goal setting, professional etiquette and more! writing letters of recommendation for you, scholarship providers, college admissions officials and potential employers. Competitive Edge experience based on your interests and desired areas for improvement. For more information, see the flier attached below or click on the picture above. Students may take classes for Honors Credit. Students may join the Sierra College Honor Society. Students may participate in either option or both option. For more information, visit the Sierra College Honors Webpage. All students enrolled at Sierra College are members of the Associated Students of Sierra College (ASSC). 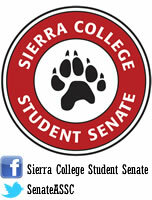 The governing body of the Associated Students of Sierra College is the Student Senate. The mission of the Student Senate is to provide students with the opportunities to participate in the college’s shared governance process, to work with the Sierra College community to develop activities and support programs and services that promote student success and foster campus community. Visit the ASSC Facebook page by clicking here!